I wasn’t going to enter any book contests this year. 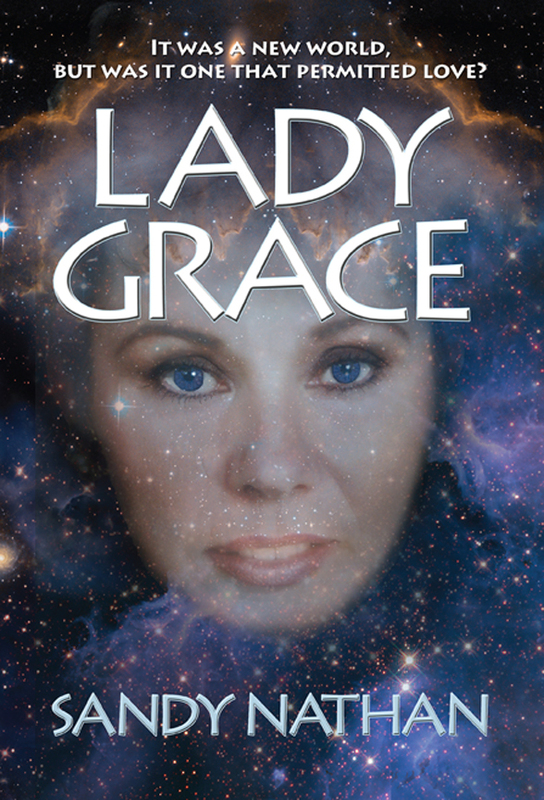 Lady Grace, my new sci-fi, fantasy, visionary fiction novel, dribbled out of the publisher’s arms when most of the contests were within minutes of closing. But, like a compulsive gambler, I couldn’t leave book contests alone. I got the Lady in the IPPYs (Independent Press) Awards, sliding in just under their “drop dead date”. 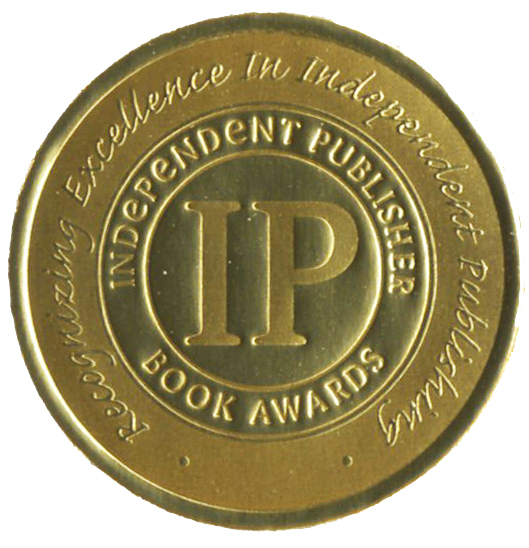 The IPPYs are the oldest and largest book contest open to independent publishers and authors. It’s a great contest, and very prestigious. I’ve entered it many times and done well. Answer: There is no “enough.” Ever. Anywhere. In anything. You spend what you need to go the distance. I mean, did they tell Secretariat his saddle cost too much or he ate too many oats? Since the early-bird special had come and gone and my husband was still snarling about how much contests cost, I put Lady Grace in one class in the IPPYs––I didn’t hedge my bets entering two or three. The category I entered was Visionary Fiction. Jenkins Group, sponsor of the IPPYs began announcing winners on April 27, six days ago. They seem to be announcing awards when the judging of a batch of categories is finished. As of this sitting, Wednesday, May 2 at 1:03 PST, Visionary Fiction is practically the only category NOT announced. Six days is a long time to hold your breath. Talk about stretching my neurotic tendencies to the max. In the last six days, I’ve learned it’s as bad to go into something from a strong position as it is a weak one. My 2011 novel, The Angel & the Brown-eyed Boy, WON the Gold Medal in Visionary Fiction at the IPPYs last year. YAY! Talk about a feel good moment. I’ve won Bronze and Silver Medals before, but never a Gold. This skillful manipulation of my inner state by repeated negative thoughts might be considered The Anti-Secret. This is the antidote to Rhonda Byrnes’ famous Secret. Rhonda’s book goes like: “If you wish for it hard enough, something will come.” Maybe not what you wanted, but something. I do not consider myself particularly neurotic. I think of my self as the female, West Coast, Protestant version of Woody Allen. I’m going to sit at my computer, fully experiencing my pain and heart palpitations (really) until the Jenkins Group posts those wins. Or losses. Sayonara! I will let you know what happens, win or lose. THE RESULTS JUST CAME IN: SOMETIMES YOU WIN, AND SOMETIMES YOU LOSE. 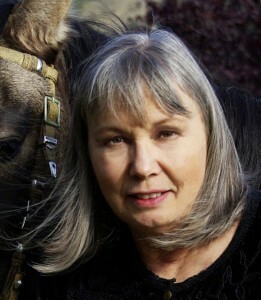 Sandy Nathan is the winner of twenty-one national awards for her writing. She’s won in categories from memoir, to visionary fiction, to children’s nonfiction. And more. Official Launch Date: May 1, 2012 LADY GRACE IS ON HER WAY! 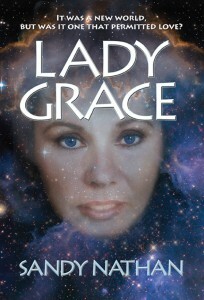 Lady Grace, Book II of Tales from Earth’s End will be officially launched on May 1, 2012. We at Vilasa Press think you’ll be as pleased with the book as we are. We’re looking forward to gala launch activities. We’ll be announcing them here. We’re providing more information about the book here. 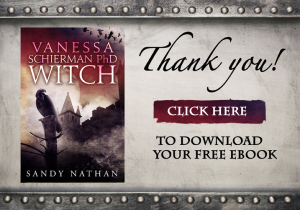 You can also read about it on author Sandy Nathan’s website. Three stories intertwine: Earth is devastated by a nuclear holocaust. Technological wizard Jeremy Edgarton and a few of his friends are whisked off planet moments before the disaster by the goldies, a race of super-evolved aliens. They seem too good to be true, and unfortunately, they are. The humans want out. Jeremy’s mother, Veronica Edgarton, awakens from a cryogenic sleep in a chamber deep beneath the ice. Next to her is her husband, one of the most ruthless and cruel men ever to have lived. The inhabitants of the gigantic underground bomb shelter Jeremy and others built are preparing to emerge. They were supposed to become a super-race. Regrettably, evolution can work for evil as well as good. Each of these events is potentially volatile. Combine them and the results are explosive! The players from across time and space are catapulted into a struggle of cosmic scale, challenging them to draw upon every ounce of their physical, intellectual and spiritual strength. Lady Grace is a thrilling, action-filled adventure wrapped in the embrace of epic love. Lady Grace holds its own with the best of today’s sci-fi page-turners while accomplishing much more. Nathan’s second book in the Tales from Earth’s End is just as much a spiritual and psychological exploration as it is science fiction/fantasy thriller. Nathan has created a unique niche that leaves her without rival in the canon of contemporary fiction. A gripping original sci-fi tale that brings politics, spirituality, and personal responsibility into the mix. As in all interesting tales of good versus evil, the path to outcome is not predictable but the trip is super enjoyable and will keep you clicking for the next page. Jeremy’s evolution with Eliana and his mother, Veronica Edgarton, are breathtaking. The following sample interview is provided for the convenience of the media and book groups. About five years ago, my brother died suddenly and tragically. He was my only sibling and adored little brother. I was grieving, with all sorts of thoughts and feelings arising. About three months after his death, I had a dream. In the dream, a shining creature like an angel hovered above me. She was absolutely good, a being of love and light. She appeared to me as light. The light dropped closer and finally merged with me, so that I got to feel what it was like to be that angelic creature. That was the angel in the first book of the Tales from Earth’s End Series, which my creative process turned into an angelic alien sent to earth on a vitally important mission. That was The Angel & the Brown-eyed Boy. The rest of the plot of The Angel popped into my brain in the next few days. When I finished writing that book, Lady Grace was rocketing around in my brain. I just wrote it down. Lady Grace is the story of what happens after the radiation clears enough to permit life on earth to continue. None of the survivors knows exactly how much time has passed. When I finished writing Lady Grace, its sequel was front and center in my mind. That sequel is Sam & Emily: A Love Story from the Underground. 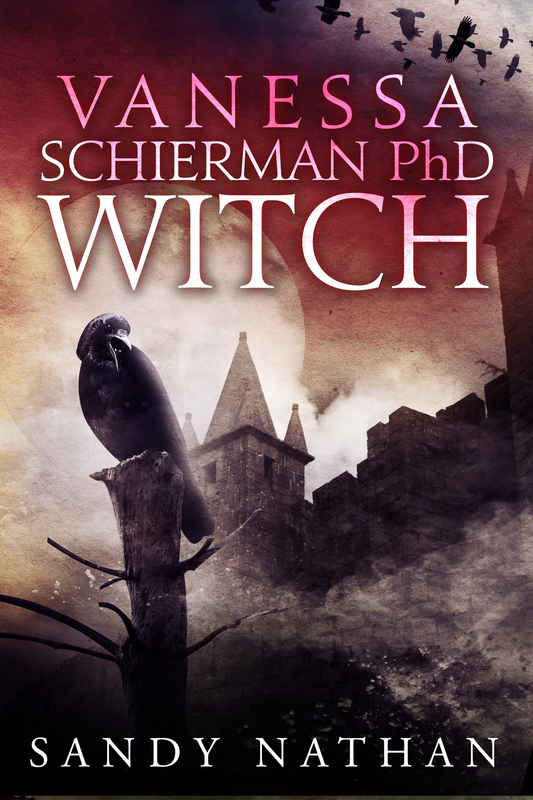 It will be published in early 2012. Lady Grace, like the other books in the series, is an action-filled adventure with elements of sci-fi, and fantasy. And it’s a love story of epic proportions. What’s unusual about it––besides pretty near everything––is that two of my characters from the Bloodsong Series’ first book, Numenon: A Tale of Mysticism & Money, “jump ship” and have roles in Lady Grace. This was really fun to write and I hope you enjoy reading it. The idea of having Bud, Wes and Will Duane show up just happened––serendipity. But they solve an important problem. The book is about rejuvenation and personal change. It’s about grace and the power of grace. The title is also the name of one of the characters. You’ll see when you read it. My favorite character is Lady Grace. I’m not going to spoil things by saying more. I will say that I noticed after writing the book that its major heroes are women. I wrote the story without being aware I’d done it that way. I guess I’d have to say that my favorites are all of those tough and wonderful women that save the day. Do you have plans for sequels? Can you describe them? When will it/they be released? Yes. I have at least two sequels in the works. 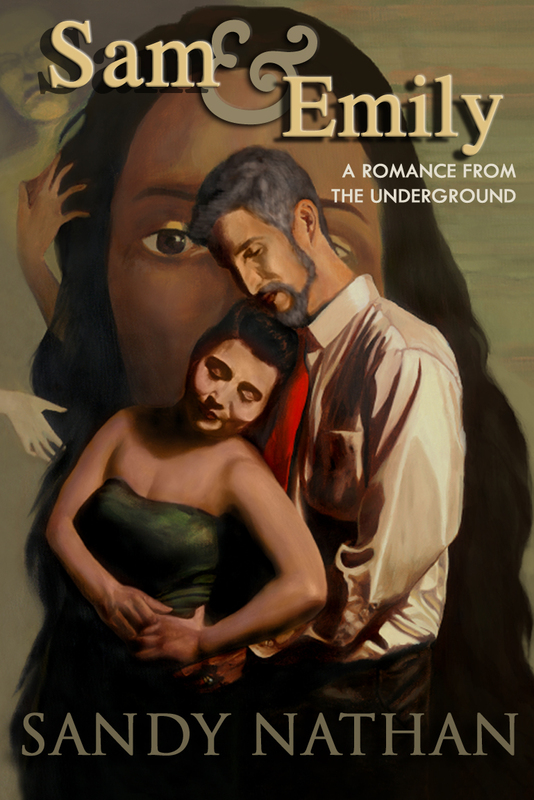 The first, Sam & Emily: A Love Story from the Underground, is a breathtaking romance of legendary proportions. It takes place in the underground bomb shelter on the Piermont estate after the nuclear meltdown. I’ve been told it’s the best thing I’ve written. It will be out in Spring 2012. And, a fourth story in the series is shaping up in my mind and partially written. That follows directly on Lady Grace. This is going to be a few years out. The Bloodsong Series and Tales from Earth’s End are going to touch in a major way. They may even merge. Numenon, the first book in the Bloodsong Series, takes place in 1997. When we see Bud and Wes in Lady Grace, it’s 2015. Eighteen years have elapsed in the world of Numenon’s characters. That’s lots of water over the bridge. We have to see what happens to our billionaire, Will Duane, and his little band of outlaws. We have to see what’s going on in the world. My writing focus is going to be on the Bloodsong Series for the next period of time. Lots happens there––I’ve got drafts for many stories. How long have you been writing? How often do you write? I’ve been writing full time since 1995. Before that, I wrote academically and professionally. I write every day. I don’t set a particular time or word goal for myself. I write until I deliver a scene or chapter the way I want it. I quit working when I get a feeling satisfaction with my work. That can take a long time to achieve. My favorite writer of all time is the Icelandic Nobel Laureate, Halldor Laxness. His Independent People is a masterpiece. Laxness can write two simple lines about a fish and have me in awe and tears. That’s good writing. D. H. Lawrence is a favorite. Lady Chatterley’s Lover is one of my favorite books, as is Fitzgerald’s The Great Gatsby. For more popular authors, I love Diana Gabaldon’s work. I’ve read the entire, massive Outlander Series three times (! ), plus the associated Lord John books, and I even have the graphic novel of Outlander. I also read lots of books by independent authors. Consuelo Saar Baehr is a favorite. Lady Grace, the second book in the Tales from Earth’s End Series, continues the story line of the first book, The Angel & the Brown-eyed Boy. The Angel ends with a nuclear holocaust destroying almost all life on earth. Lady Grace begins with survivors attempting to create a new society on a planet blasted to a prehistoric state. As the characters come together, three separate stories emerge and intertwine. Each thread is volatile. Together they are explosive. The characters of The Angel & the Brown-eyed Boy return for new adventures surpassing any you can imagine. New voices come forth, including some surprises. “I borrowed from my other series, the Bloodsong Series, and brought a few characters you’ll recognize if you read my first novel, Numenon. Lady Grace spans time and reality for a mix that’s part sci-fi, part fantasy, and definitely Visionary and New Age,” says Mrs. Nathan. WOW! Words of Praise Sure Feel Good! I’m Honored and my Books Are Honored! Coming up roses . 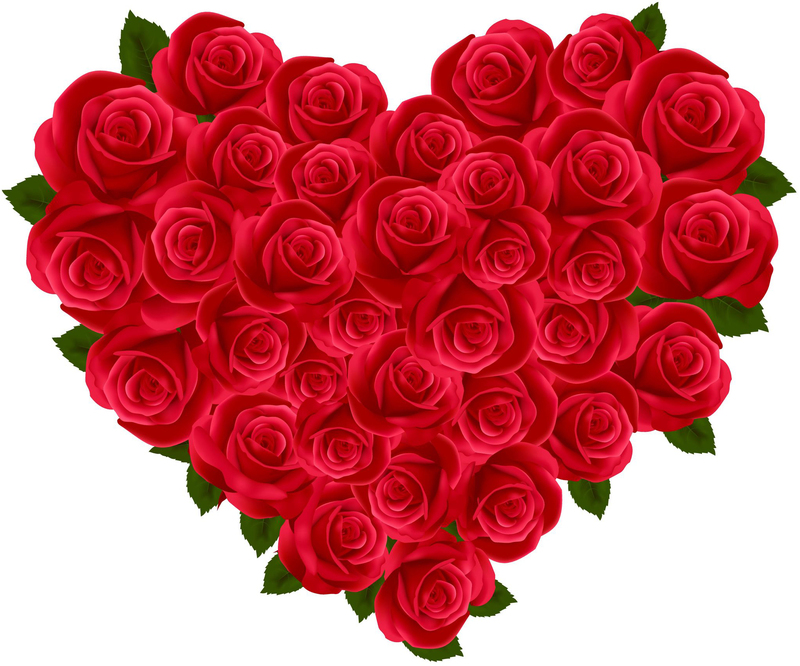 . .
I’m collecting testimonials for my new books Lady Grace and Sam & Emily. These are books two and three of the Tales from Earth’s End Series, my take on life and rebirth after a nuclear holocaust. Hoping for testimonials, I sent out some review copies and contacted a few people I know who are really good writers. I’ve written that the hardest thing about getting testimonials for your book is getting up the nerve to ask. Then it’s up to your skill and the universe. I have been following Sandy Nathan’s writing since her very first book, Stepping Off the Edge: Learning & Living Spiritual Practice. Then came her novel, Numenon. Being a sci-fi fan, I have always been leery of new writers. Sandy put the lie to that for me. Numenon definitely had what I was looking for: a good story, imaginative ideas, and good writing. When I got to the end I was both sad and happy; sad because I was so invested in the story that I wanted to know what was going to happen next and happy because I was assured this was only the first in a series and I would be able to spend more time with these great characters down the line. Then Lady Grace came along and I found that Sandy had reached new heights in her story-telling and her craft. I told her I thought it was the best thing she had written. But then I read Sam & Emily. Out of the ballpark! It’s a terrific story with wonderful characters – both the good guys and the bad guys – in all kinds of wild situations. I think what makes Sandy’s writing so powerful is that her stories originate from her real-life experiences. 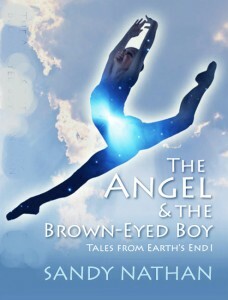 The Angel & the Brown-eyed Boy, first in the Tales from Earth’s End series, for example, came out of processing the grief over her brother’s death. So her stories are charged with the authenticity of what she’s going through. If this is your first experience of Sandy Nathan’s writing, prepare yourself for a wild ride. And give thanks that there are Sandy Nathan books already in print and even more on their way. It can’t get much better than that! He praised my entire writing career. Thank you, Laren, for your words of praise and vote of confidence. 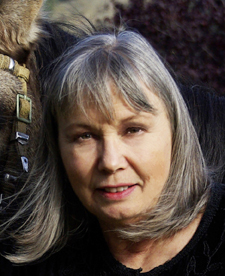 Sandy Nathan is the winner of twenty-one national awards, in categories from memoir, to visionary fiction, to children’s nonfiction. And more. Two sequels to The Angel & the Brown-eyed Boy are in production with early 2012 publication dates. If you liked The Angel you’ll love Lady Grace and Sam & Emily. The Angel‘s first sequel, Lady Grace, brings some of The Angel‘s characters back together and puts them in another struggle for existence. This time, they’re fighting against the elements and a degenerate society which the nuclear war has spawned. The second sequel, Sam & Emily, is a love story involving two characters from The Angel. It’s an epic romance that takes place in the Piermont Estate’s underground bomb shelter after the nuclear bombs have gone off. Sam & Emily can’t escape a passion that lasts a lifetime. This book sizzles. All three books have a transcendent, looking-for-a-better-world quality. The protagonists are pitted against horrific difficulties. They’re thrillers and well as visionary fiction.